Photos courtesy of Ella Rosa. 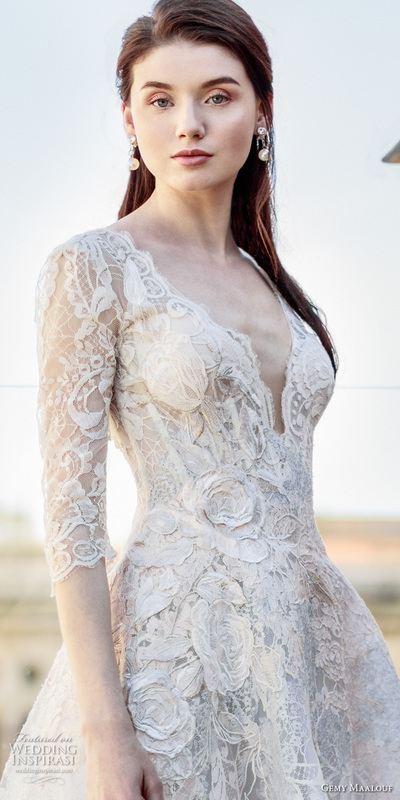 Thanks to Kate Middleton, illusion lace sleeves are here to stay! 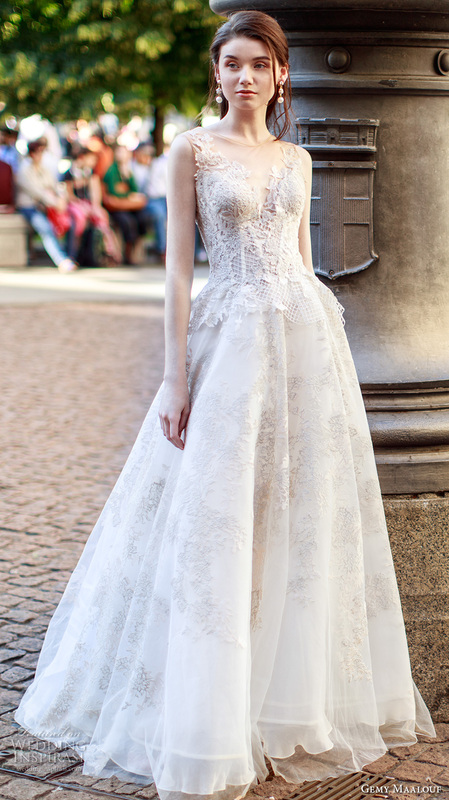 From three-quarter and billowing to cuffed and full-length, Wedding Dresses with sleeves are still having a major fashion moment, and we couldn’t be more thrilled! 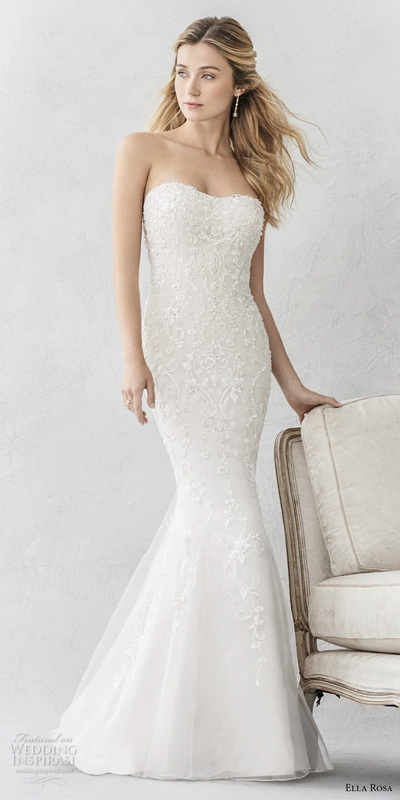 After so many years of strapless bodice bridal gowns, it was time for a sleeve revival. 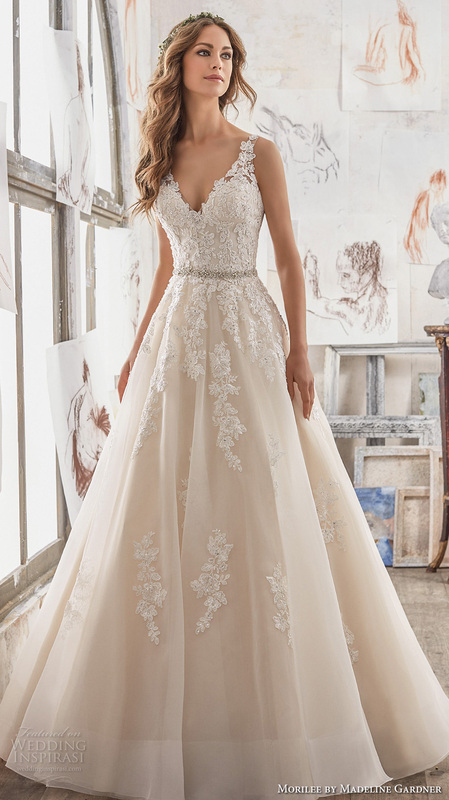 Read on to find out why we love this trend and discover some fabulous sleeved dresses by the extraordinary designers at Mon Cheri Bridals. 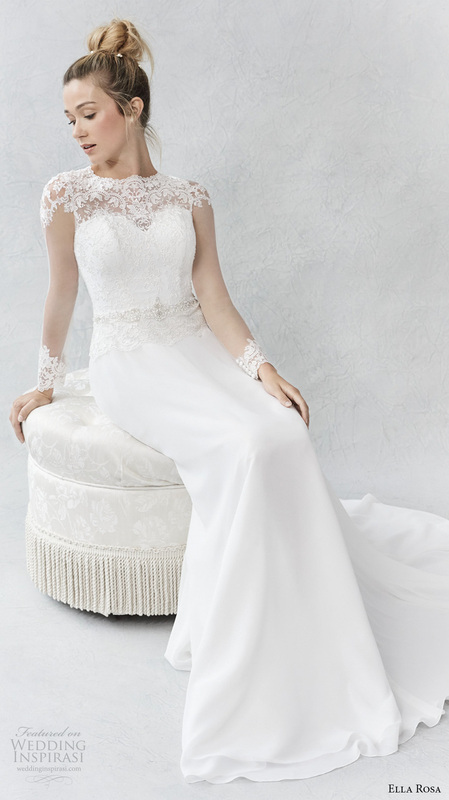 For starters, illusion sleeves are the perfect combination of vintage romance and modern sophistication. A well-fitting sleeve enhances and celebrates the female form while also covering up flaws, providing a modest, formal approach that isn’t boring. 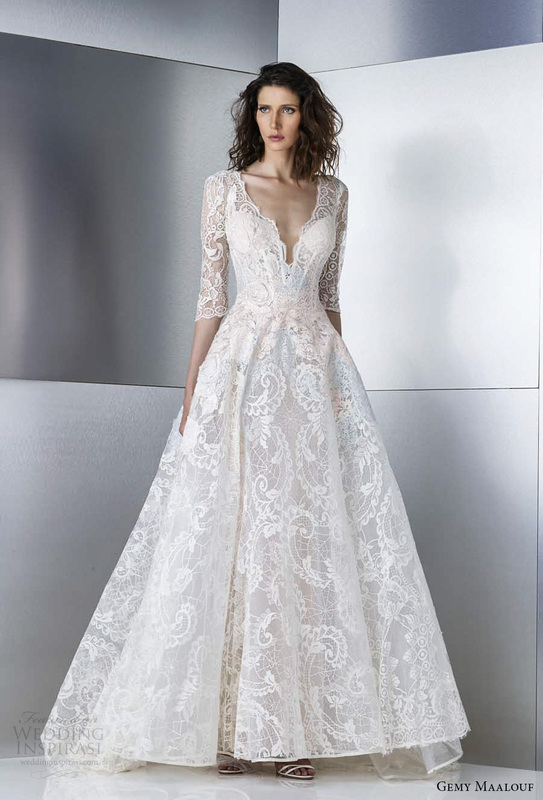 From Kate Middleton to Grace Kelly, princesses of all times have turned to illusion sleeves to add a regal vibe to their bridal look. 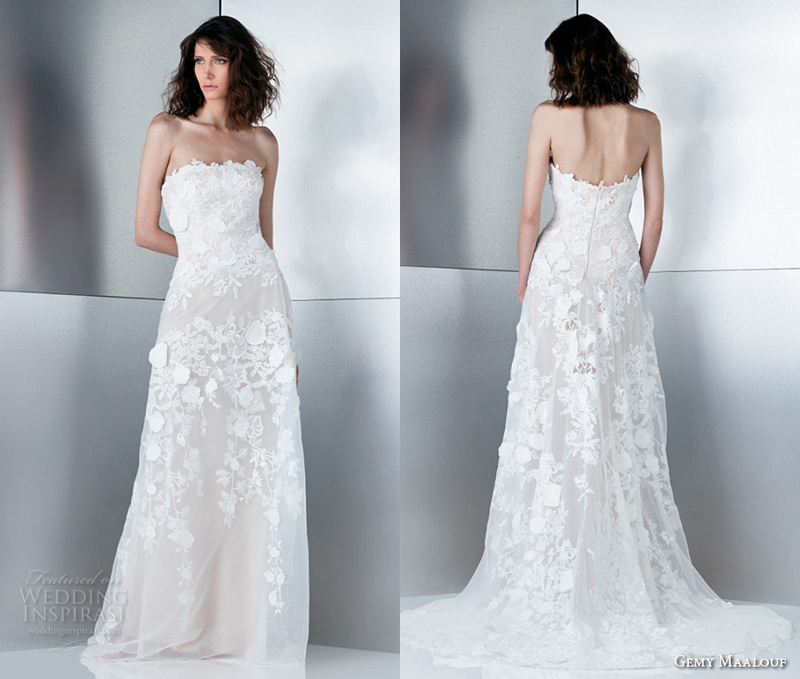 I’m talking understated drama meets serious glamour meets a whole lot of romance! 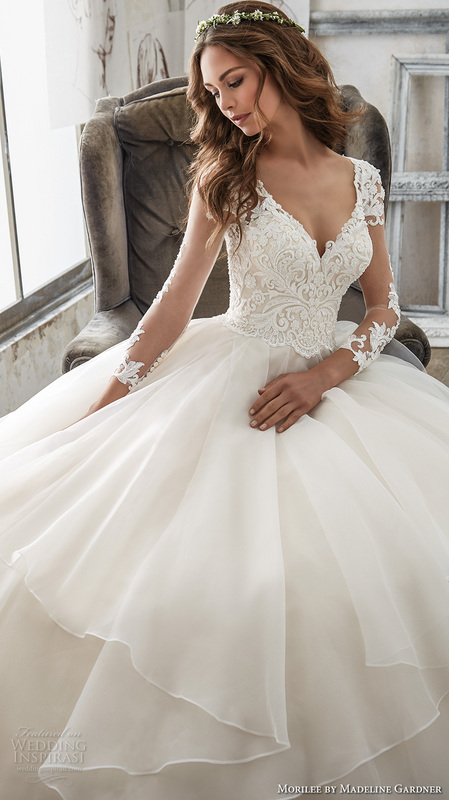 If you’re ready to have your princess moment too, the breathtaking gowns from Mon Cheri Bridals are everything you’ve ever dreamed of… and so much more. Ready to get your pretty on? Let’s go! 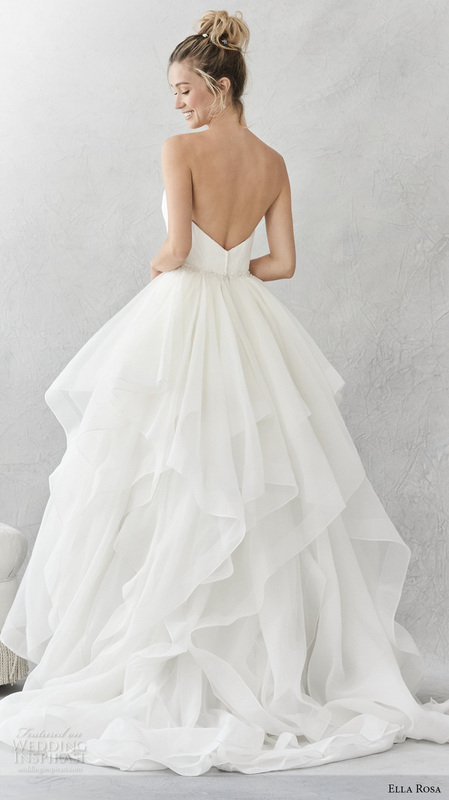 2017 officially ushered in the age of the off-the-shoulder. 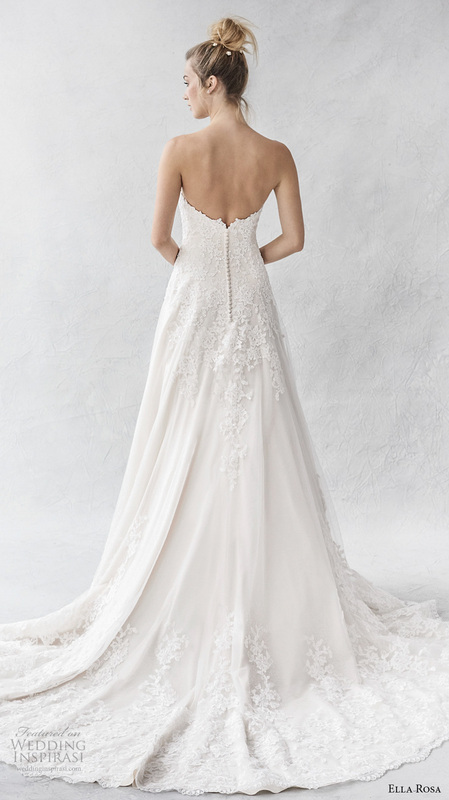 Shoulders are bared in lace and long sleeved styles, making the trend perfect for winter and fall brides. 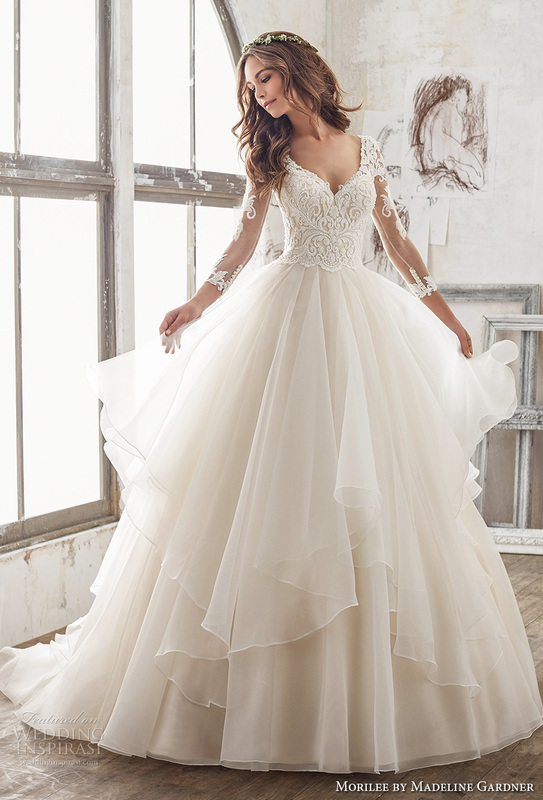 This gorgeous ball gown (Style 117292 Aurelia) by David Tutera for Mon Cheri dares brides-to-be to expose their shoulders for an old-world charm look with a contemporary twist. 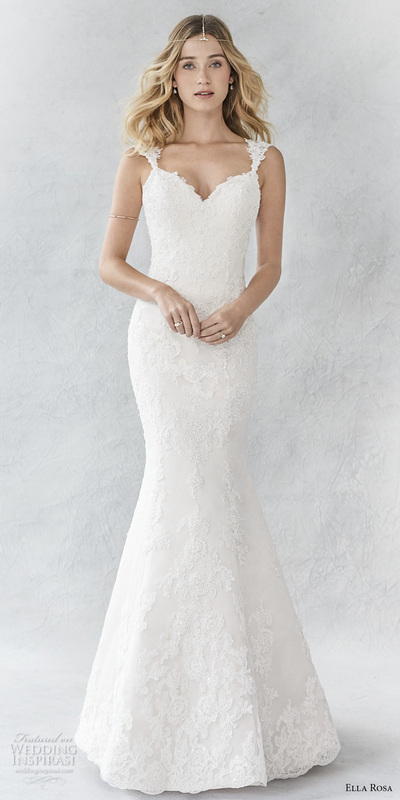 There’s something undeniably feminine about the three-quarter length sleeve: it’s elegant, alluring, a little bit retro, and totally distinctive on a Wedding Dress. 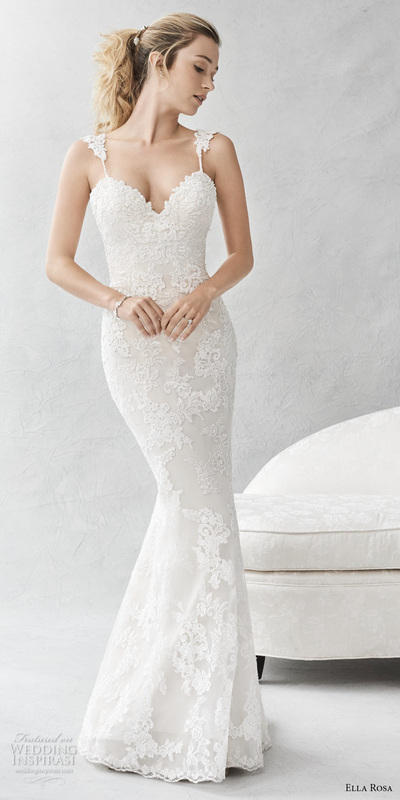 Sophia Tolli and her 2017 Bridal Collection have us swooning over these two flattering and demure numbers (Style Y11702 Gabrielle and Style Y11720 Felicity) that featured this sleeve trend to perfection. 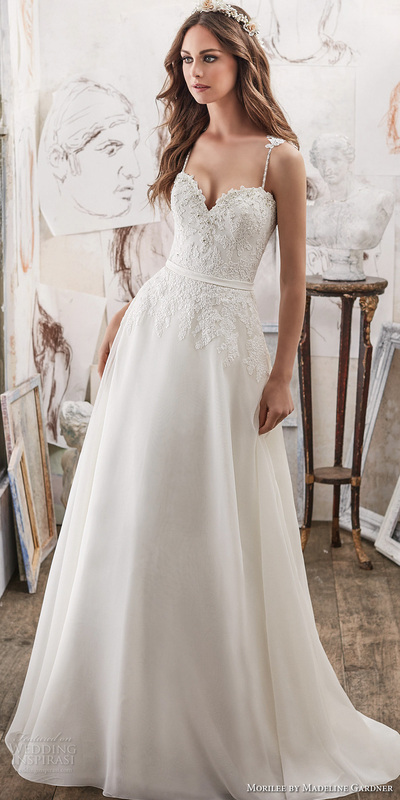 If there is one bridal line that can always be relied on to create gowns with more than a little old world charm and romance, it’s Enchanting by Mon Cheri. 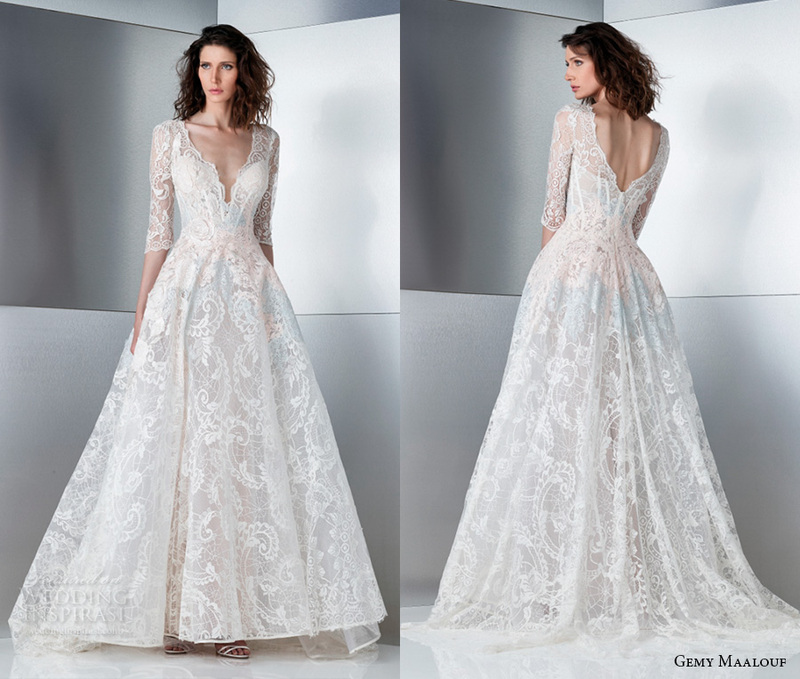 These three pretty numbers from the 2017 collection (Styles: 117177, 117180 and 117183) are perfect for a church, traditional religious ceremony or a second wedding. 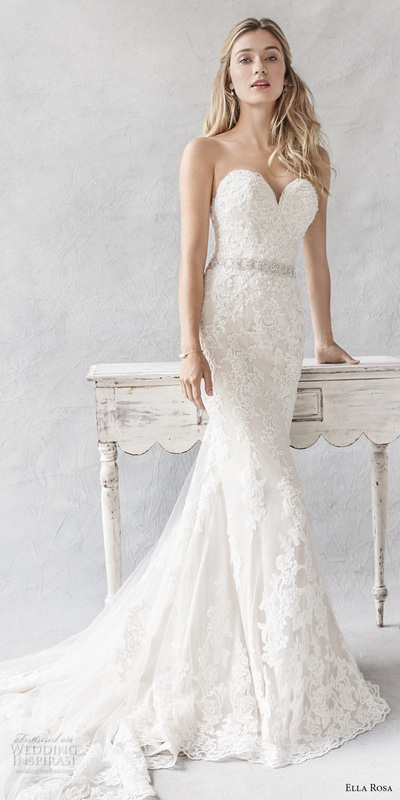 If you are a bride aiming for a look that’s traditional in essence but doesn’t sacrifice style, look no further than illusion lace sleeves Wedding Dresses by Mon Cheri Bridals. 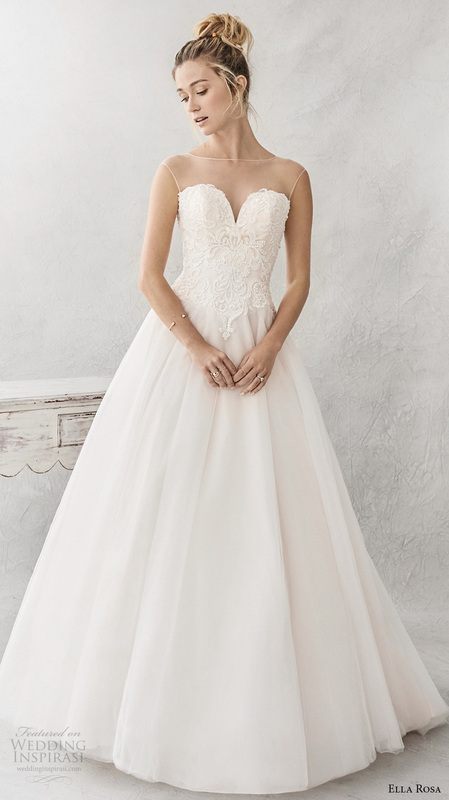 When starting the search for the perfect Wedding Dress, most brides round up the ladies, make sure the strapless bra is on, and start hitting the bridal boutiques. 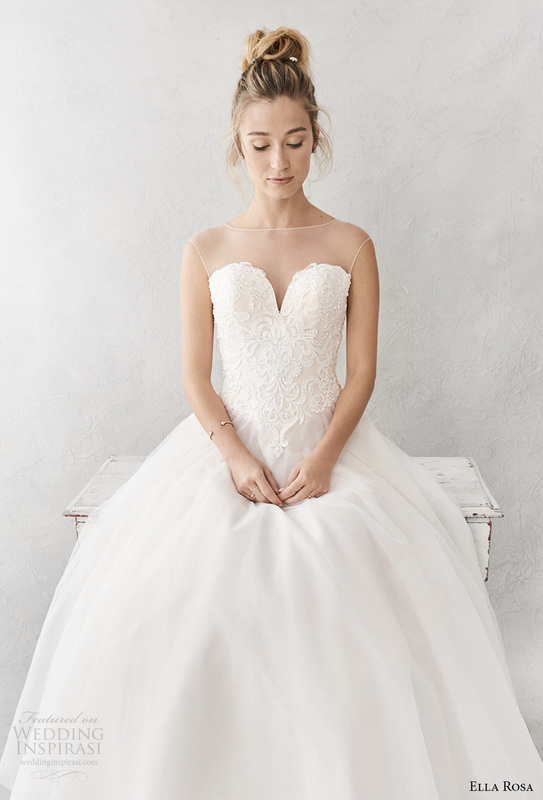 While the initial excitement of trying on Wedding Dresses is a given, after you try on that 17th Wedding Dress… you can start to imagine how it could get old really quickly. 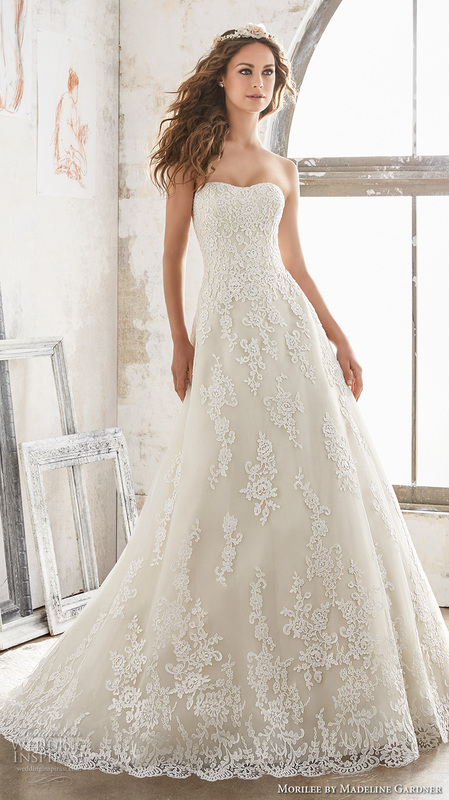 Well brides, it’s the 21st century and we have the technology to make this process better. How? 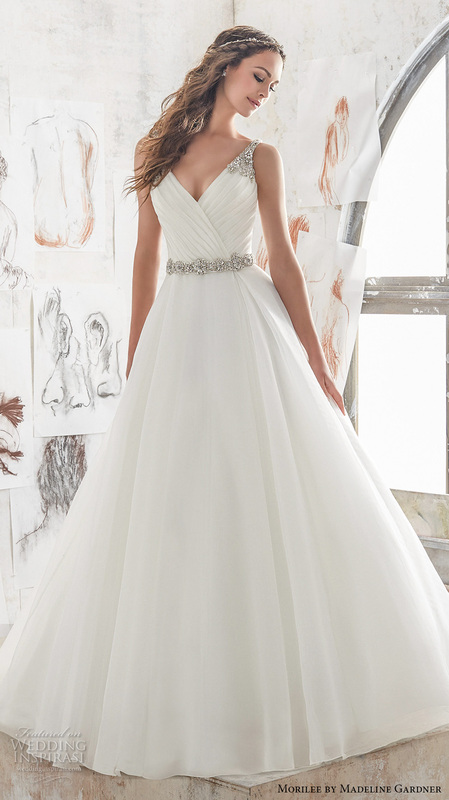 Shopping for your Wedding Dress online. Yes, it’s possible and it’s actually awesome. 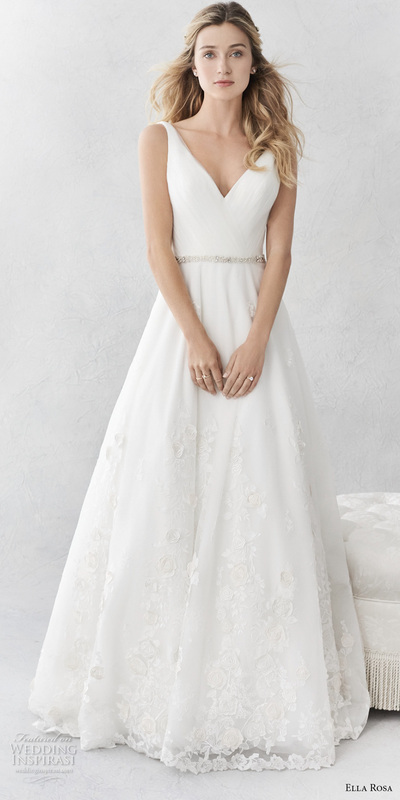 Not does shopping for your Wedding Dress online mean you can stay at home in your slippers with a mug of tea (YES! 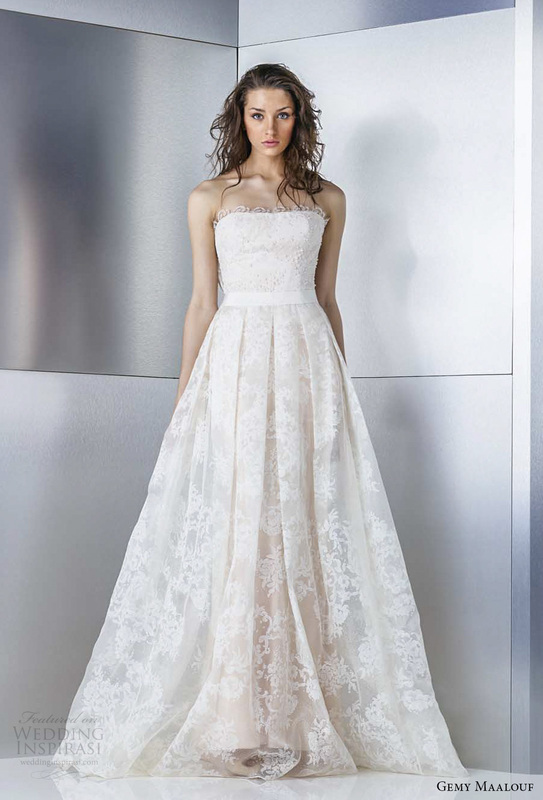 ), but it also means you’ll have a wider array of dresses to browse. 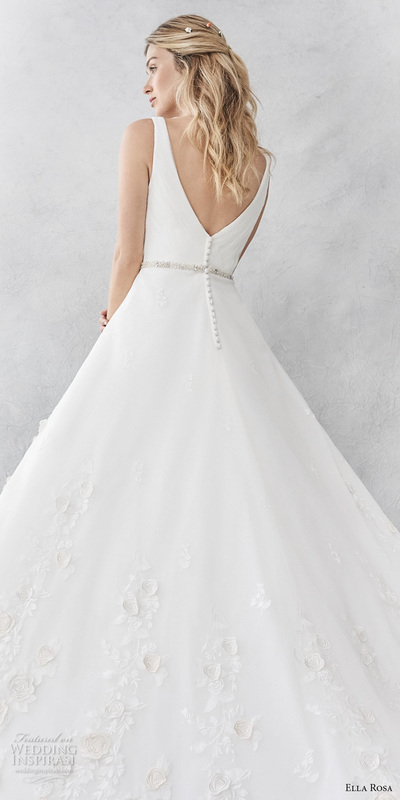 One of the best online places to shop for your Wedding Dress (or anything wedding-related!) 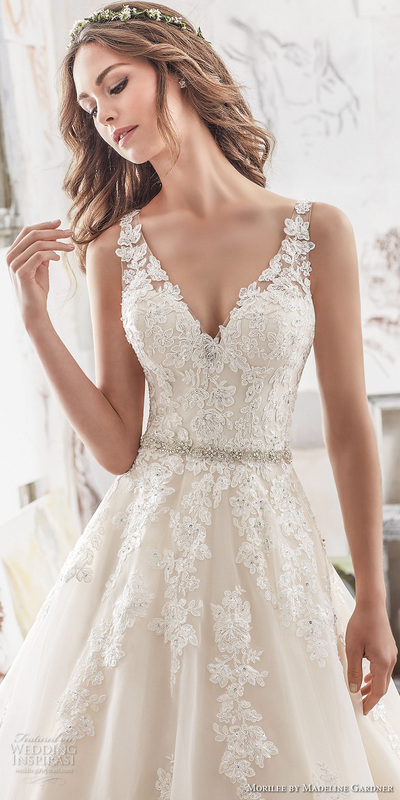 is Etsy, but with so many boutiques and dresses on this artisan, indie e-tailer, it can be hard to find the true Wedding Dress gems. But never fear! 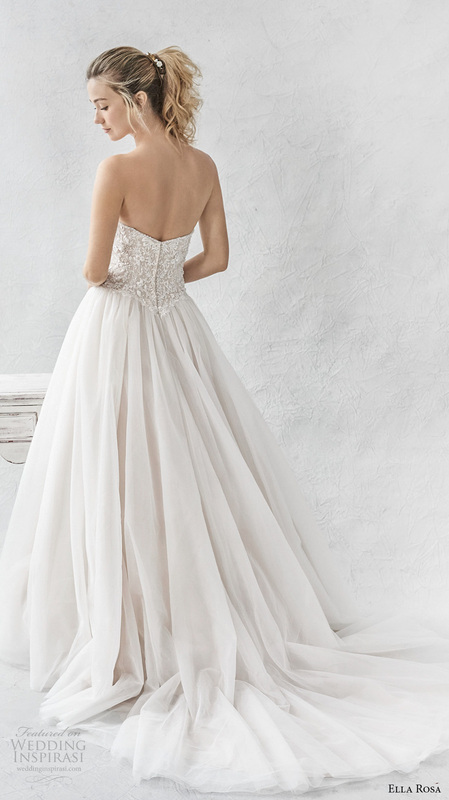 We’ve put together this handy Etsy Wedding Dress guide so you can stop searching and start shopping for that perfect gown. 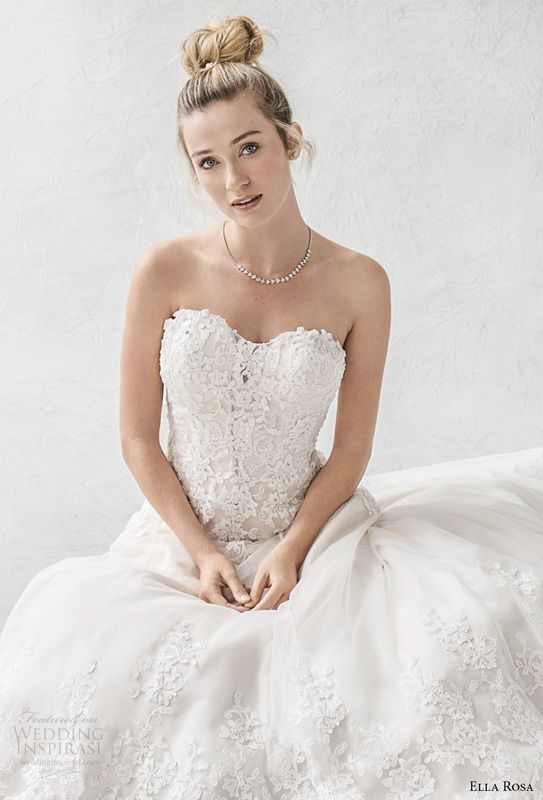 Leanimal designer Leanne Marshall keeps brides looking classic and girly, while still keeping her dresses fresh and not too traditional. 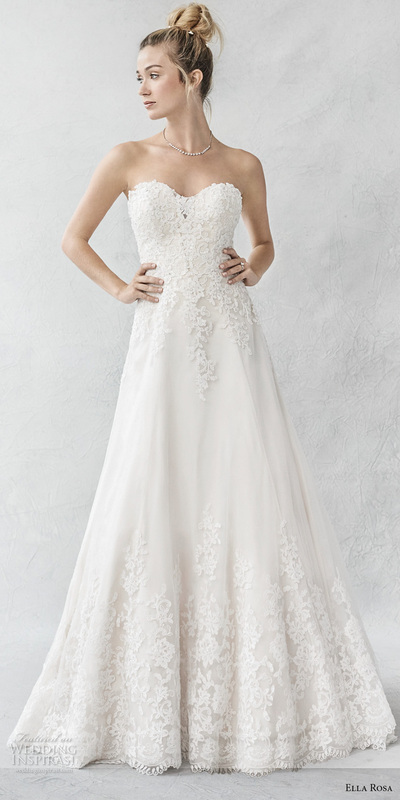 From hand-beaded details to lovely lace accents and pin-tucked bodices, brides are sure to love Leanimal’s pretty gowns. 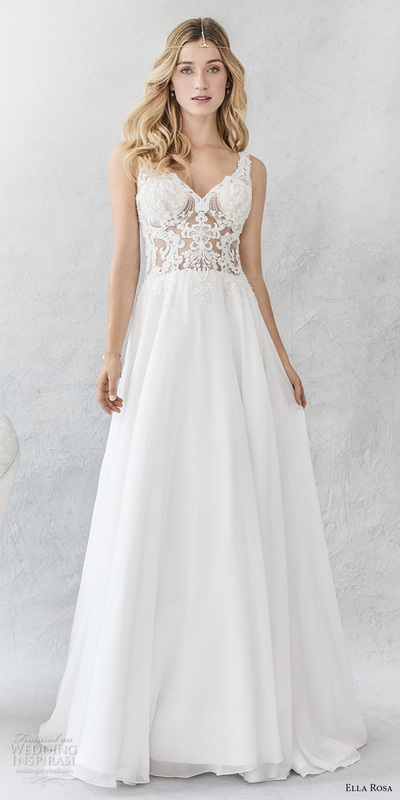 If you’re a bride who is looking for beautiful gown with an edgy attitude, Ouma may be the boutique of your dreams. 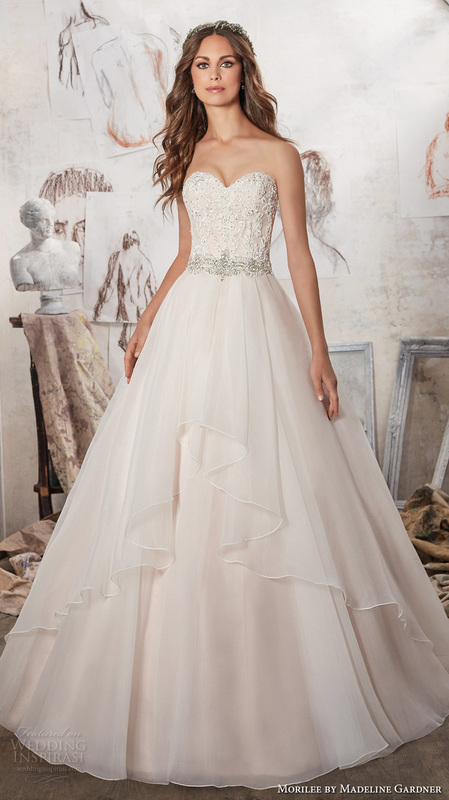 Designer Monique Sandoval mixes tulle and sequins, and loves playing with unexpected details like leather and ombre. 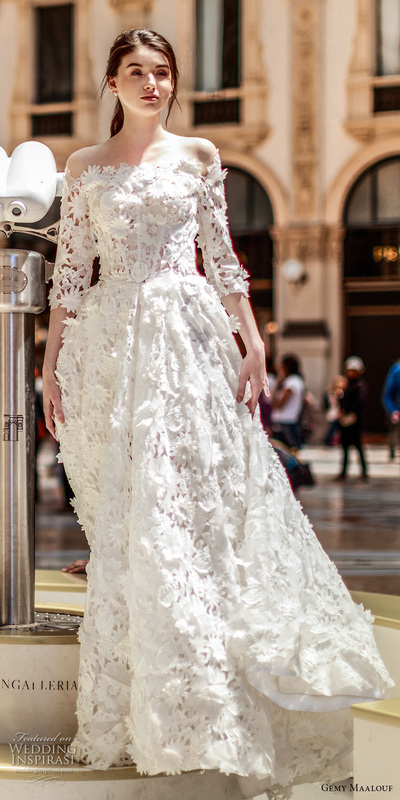 There’s something about Jillian Fellers‘ designs that conjure up visions of a romantic Victorian-era love story. 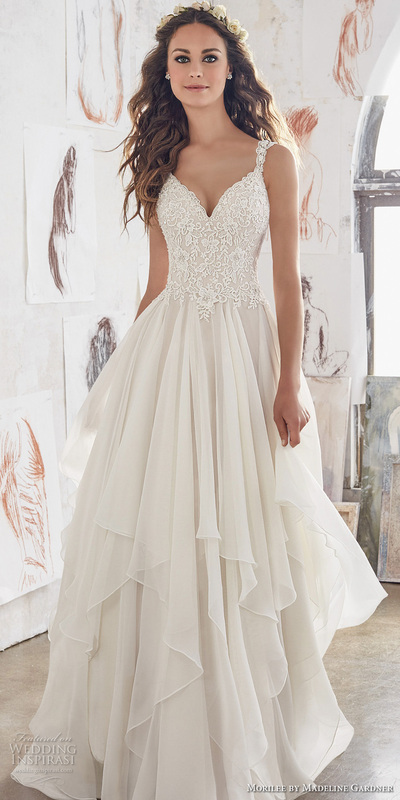 With delicate silk, chiffon and crepe dresses that are cut and draped with a vintage vibe, a Wedding Dress from Jillian Fellers is the stuff every hopeless romantic dreams of. The Art Deco wedding trend isn’t even close to being over — and for good reason! 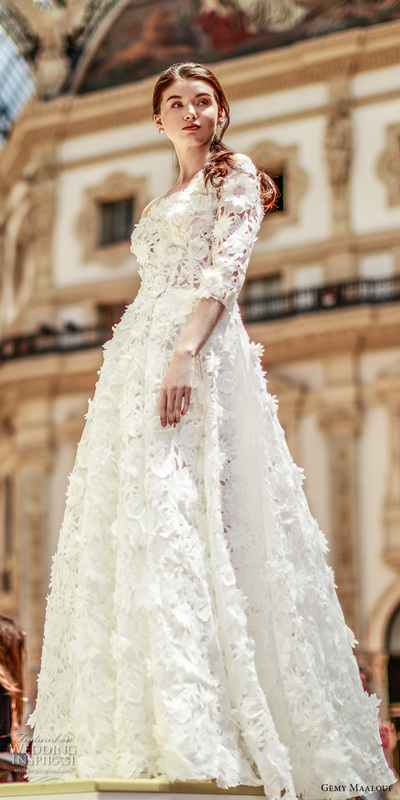 Gorgeous vintage-style dresses like the ones designed by Rebecca Shoneveld continually breathe new life (and extreme prettiness) into this chic wedding style. 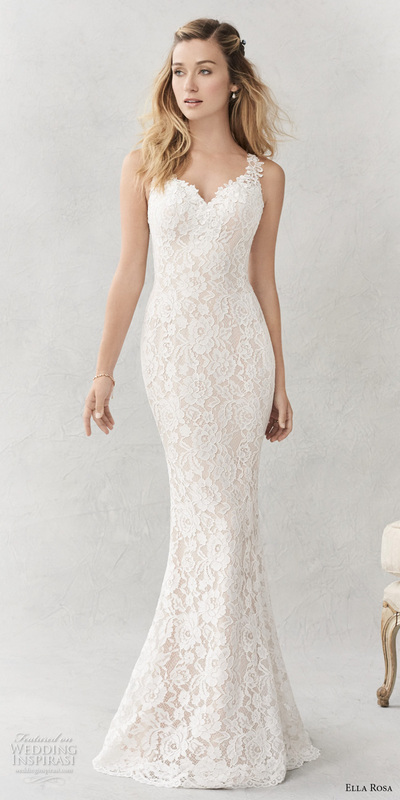 That hand-beaded lace gown below? We die. 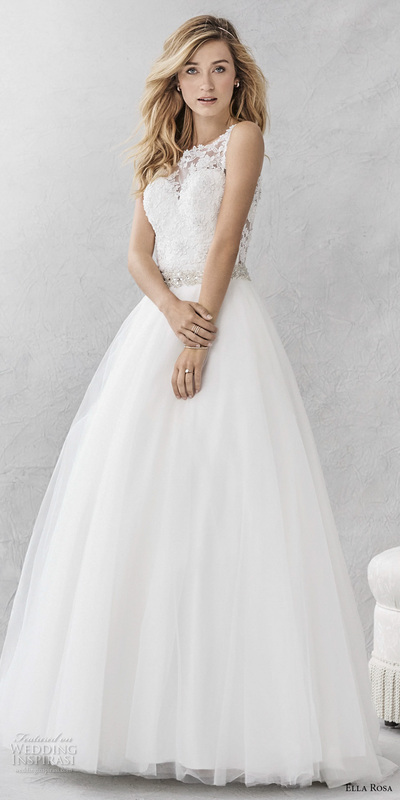 If your bridal look will be all about the tulle skirt and your favorite top, look no further than Dark Pony Designs. 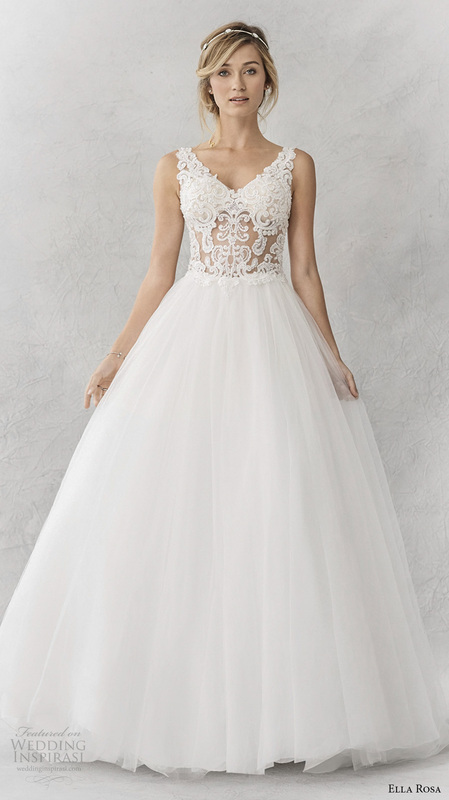 Specializing in tulle skirts of every length and color, Dark Pony Designs is theplace to complete your unique bridal look. 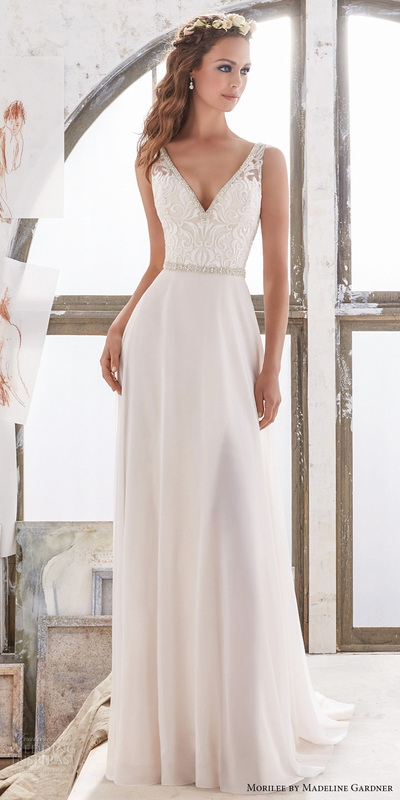 Surprising, exciting and always 100% chic, Wedding Dresses from The Flower Bride are perfect for brides who want to do something different and fashion-forward. 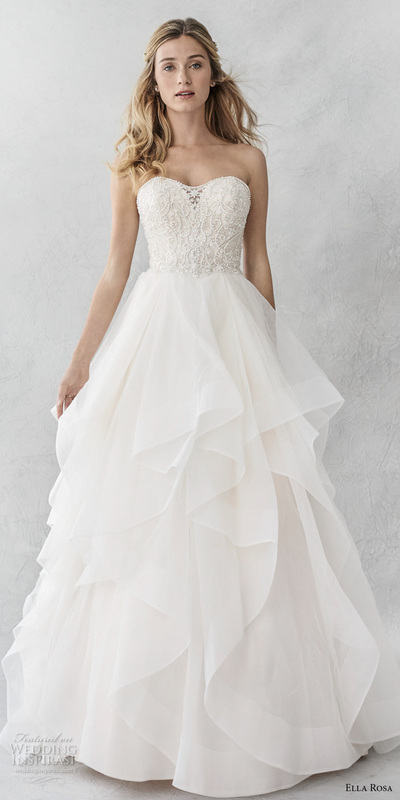 Details like peplum, boho cotton lace and silk rosettes all make an appearance in her current selection of Wedding Dresses, and they look so good. 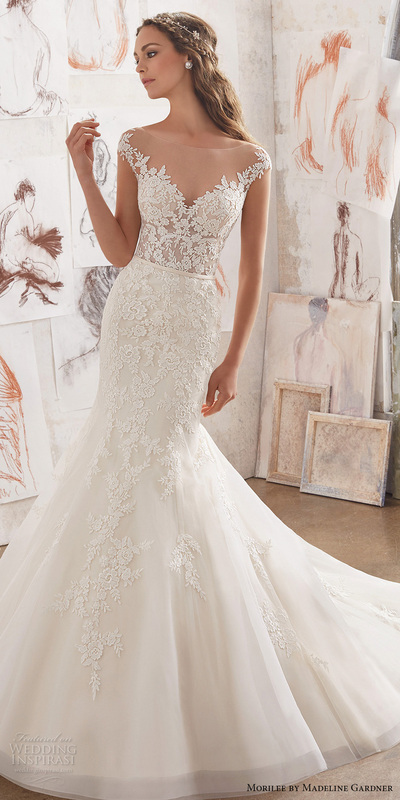 A wedding community crowd favorite, Grace Loves Lace is an amazing boutique filled with breathtaking dresses that feature (you guessed it!) lots o’ lace. 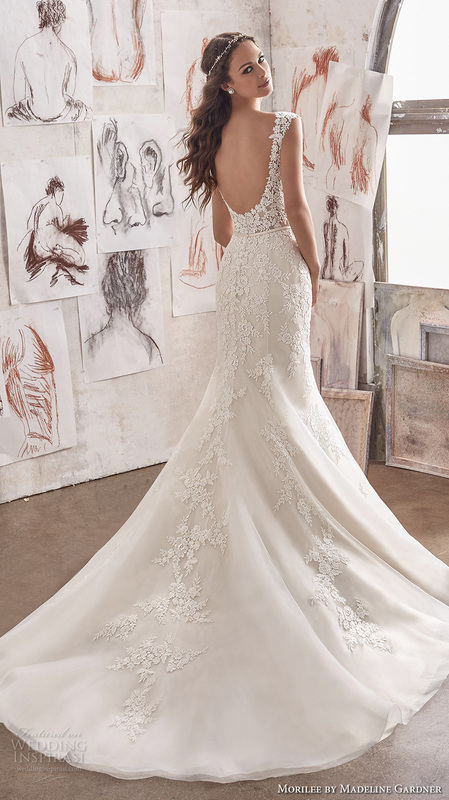 Brides rave about GLL’s fresh and modern approach to lace wedding gowns, which breathes new life into the traditional wedding style. One of our newest Etsy obsessions? Truvelle! 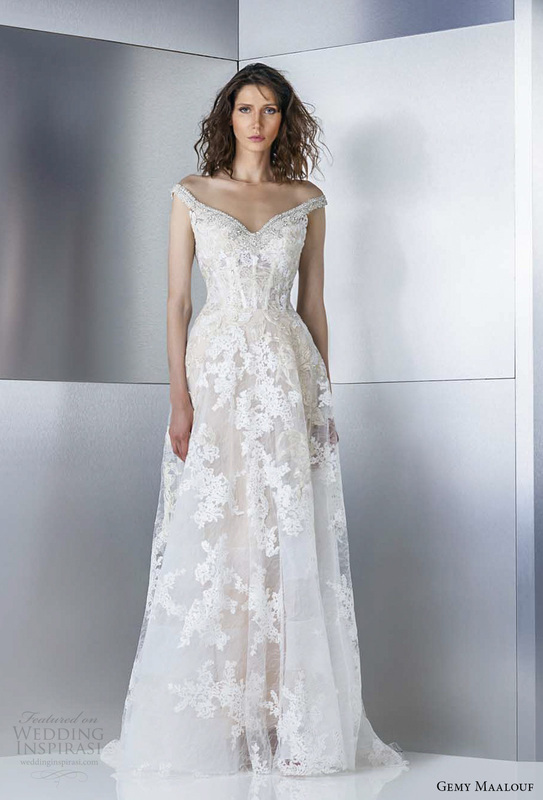 Designer Gaby Bayona’s modern designs effortlessly combine stunning simplicity with a bit of whimsy. The result? 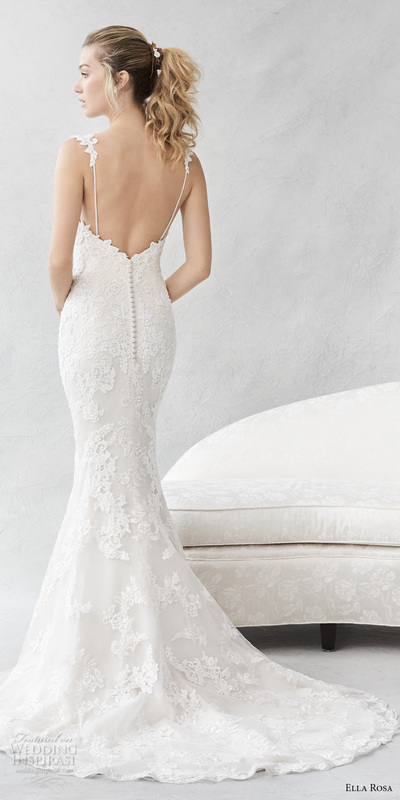 Blush sequins, long romantic ribbons, understated and pretty lace… we could go on and on. 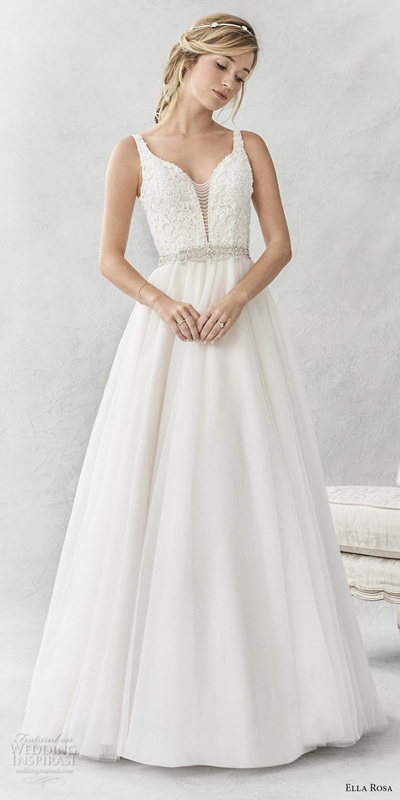 And if you’re not convinced yet that Etsy is truly one of the best Wedding Dress shopping destinations yet, then consider this: most of these gorgeous dresses run for less than $2k. Yes, you heard us right. 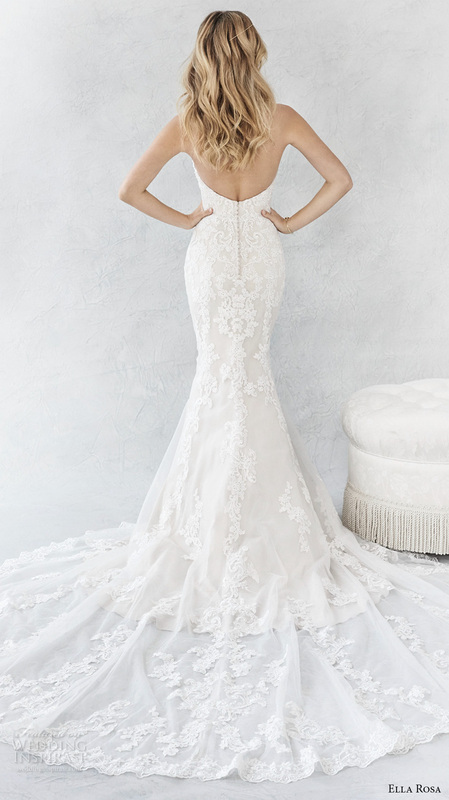 For a fraction of what you would pay at a traditional Wedding Dress boutique, you could get a handmade, one-of-a-kind wedding gown that you’ll not only love on your wedding day, but you’ll also love looking back on. 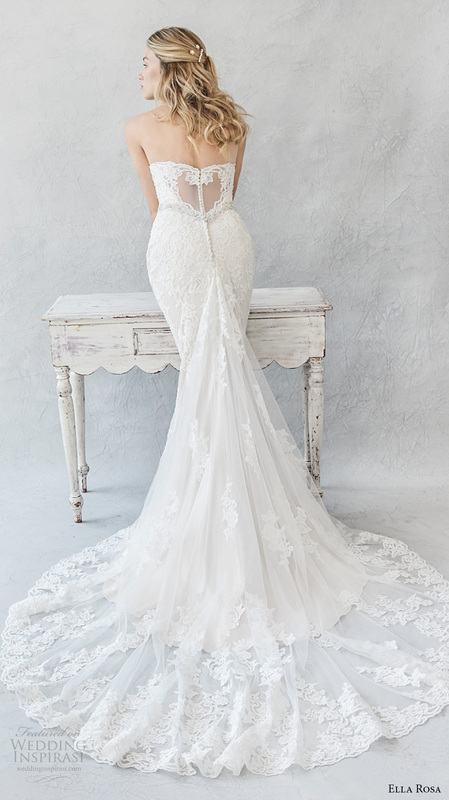 We’re in the mood for all things romantic this week, and it doesn’t get any sweeter than Morilee by Madeline Gardner’s Blu Collection. 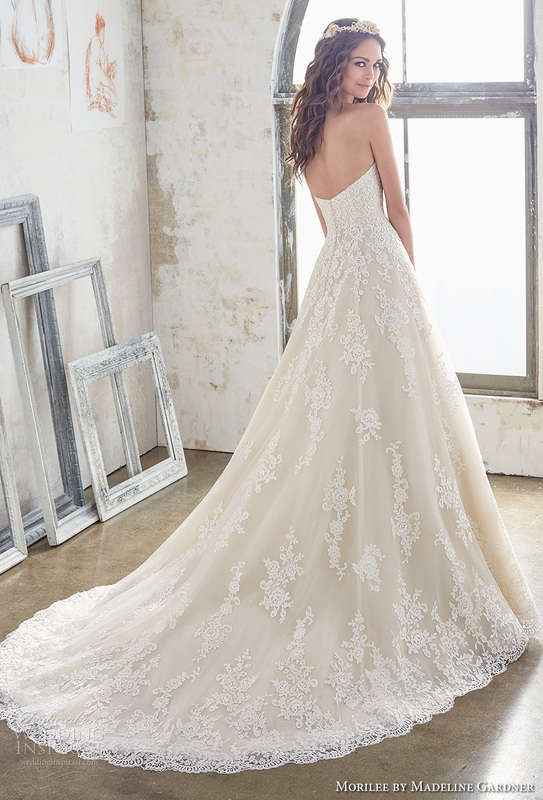 The perfect marriage of classic and contemporary, the Spring 2017 collection features time-honored silhouettes adorned with elegantly trendy details. 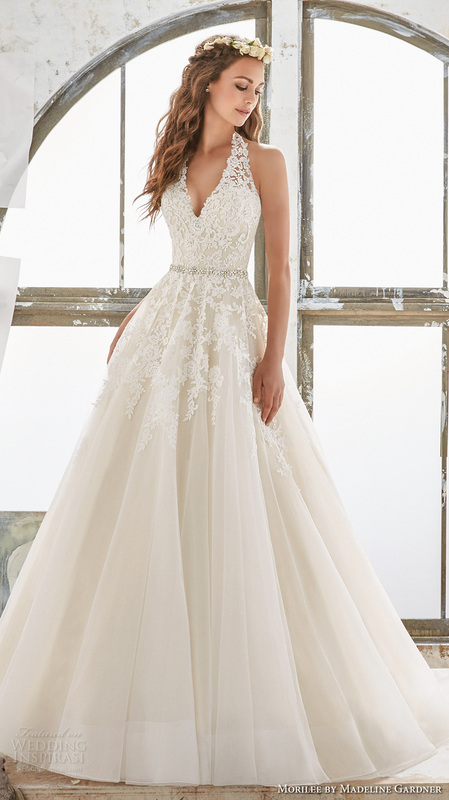 From the breathtaking Maya ball gown with beaded bodice and illusion long sleeves to the ultra-chic and sleek Marlena, this collection offers a beautiful range of inspiring looks for the modern bride. Photos courtesy of Morilee by Madeline Gardner.